SUNDERLAND need to eventually assemble a squad capable of performing consistently on a quick-fire basis, says Gus Poyet. 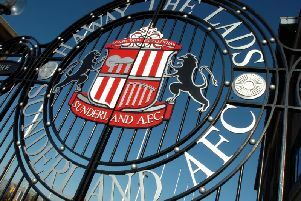 The Black Cats boss saw his side perform superbly to take a point off league leaders Chelsea last weekend, yet those efforts took their toll when Manchester City visited the Stadium of Light four days later, as Sunderland suffered their second heaviest defeat of the campaign. Poyet says those stark contrasts need to provide a long-term blueprint for the club, over putting together a squad capable of producing a string of consistent displays without necessarily having chance to recover in between. “I want to make sure in the future – two or three years’ time, whatever it is – that this team can compete at the same level without making too many changes,” he said. “Quality is not only technical, or in one action. “It’s the way you can perform at a certain level – physically, mentally, technically – every three days. “It’s only the players who are up there playing Champions League football every year who can do that. “We don’t have too many of them. The more we can get, the better team we will be. “We’re still not good enough to be competing against the top teams like Man City and Chelsea in the space of three or four days. “That’s something we learned clearly on Wednesday night. Sunderland have had little opportunity for any further recuperation ahead of today’s trip to Liverpool, although Poyet is likely to shuffle his pack by introducing fresh legs. “Now we’ve got another challenge against another top team who were very close to winning the league last year,” he added. “They’re at home, in a very special place, and it’s only three days later. “We need to make sure we’re at that level.